The story behind the most powerful song in country music. As soon as you hear the tune and the first few lyrics... "If tomorrow all the things were gone that worked for all my life..." you are captured by the power in the song "God Bless The USA!" But, what actually happened to inspire this song? 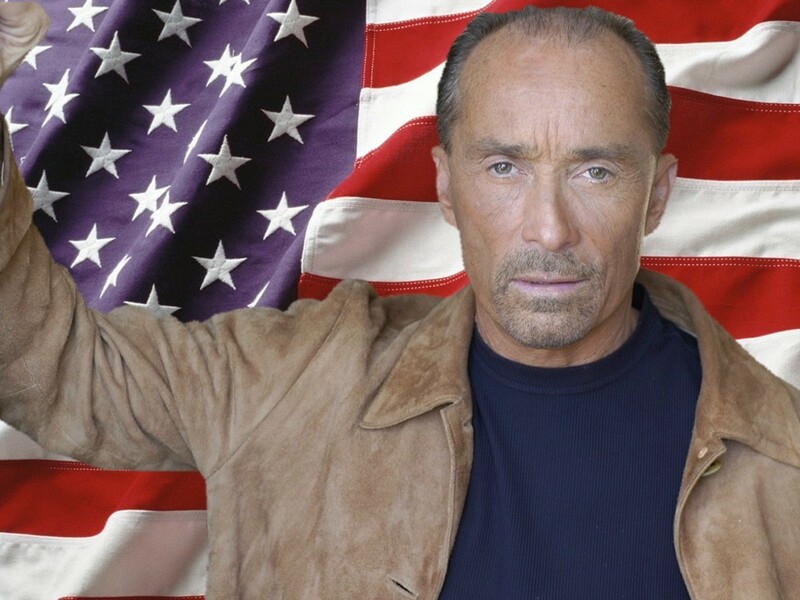 Today, Lee Greenwood shares his story and the story of the most powerful song in country music. "I can remember as a young boy watching a parade in my home town of Sacramento California. I loved the pageantry, the clowns, the floats, the marching bands - but most of all I loved the soldiers marching by in perfect formation and the cadence that kept them in step." shares Lee Greenwood. "Later, when I was in High school, I would play snare drum in the drum and bugle corps for the local American Legion post, in the same parade. I left home after graduating high school and went to work in Nevada. In my twenty years in Nevada, there was always something that kept reminding me that our country needed inspiration. I never lost the passion to use my music as a way to unite us all. After signing with MCA in Nashville, I would move to Tennessee and realize my goal of becoming a success as an entertainer and recording artist. I toured 300 days the first 2 years and discovered what I already knew. America was vast & diverse, but Americans were pretty much all the same. In 1983 I finally wrote the song that would change my life and bring us together as a country - again." You truly don't know the power that this song has, until you have heard it live. "I added "God Bless the USA" to my road show in the fall of 1983. I put it in the middle of the show as it was a new song and unknown." replies Lee. "The overwhelming response from the audience brought me to tears. I'm not sure why, but it seemed that I had said something that everyone was thinking but no one had said for a long time. I'm proud to be an American." 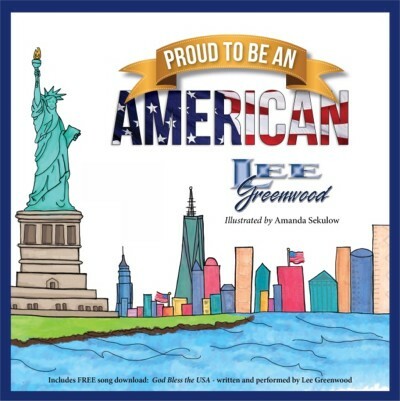 For over twenty-eight years, Lee Greenwood has inspired everyone who has heard this inspirational song. "There have been far to many places that I have performed "USA" to single out a favorite. However, I will mention a few that stand out for me." shares Lee. "Certainly my command performance at the White House for President and Mrs. Reagan and the Vice President, George Bush. It always makes me nervous to sing my song at major sports events, and there have been many. Nascar (the first race after 9/11/01), Daytona twice, Charlotte twice, Bristol twice (they play "USA" there every race even if I'm not there). Baseball (Yankees & the Diamond backs 7th game of the World series at Yankee Stadium), Basketball (Utah Jazz - my wife Kim was Miss Tennessee USA when Carl Malone's wife Kay was Miss Idaho USA). College football - the Orange Bowl, Liberty Bowl, Cotton Bowl, Sugar Bowl (Tennessee beat Miami for the National Title). NFL - The Titans, Pittsburg Steelers, Ravens, Bears & several play off games. I played piano & sang on top of Liberty Island to perform "USA" on TV for the 4th of July 220 year anniversary. The memories are vivid for times when I sang to heal America, as during the Katrina disaster. The events following 9/11/01 in New York. But my USO tours are the times when I feel I'm doing the most good. I am so humbled by the sacrifice the military and their families make to protect us all. When I sing 'God Bless the USA' at a base somewhere outside our country it has so much more meaning. I know it instills pride for our service men and women and I am so happy I can lift them up with my own song, the song I wrote to unite us & make us proud. It takes me back to the parade when the soldiers marched by." To sing a powerful song, one must have a powerful heart to sing it. "'God Bless the USA' has become more than I am. However, when I sing it live, every one knows it's my song but it belongs to them. It IS a powerful moment when the music begins and I sing the first lyrics: 'if tomorrow all the things were gone, I'd worked for all my life.'" reminisces Lee. "I will sing 'USA' as long as I am living and I will pray that our country will overcome the challenges that we face. History dictates all empires will cease to exist. But there has never been a country or a society like America. We are different than any before us. We are all the world in one country. God Bless the USA!"